Home News Finance Fiorentina: Will the intended sale curtail The Purple Renaissance Project? It has been 4 weeks now since Fiorentina were put up for sale by their owners, the Della Valle family, and there appears to have been no reported interest from any suitors interested in acquiring the club. One suspects that the sale of Fiorentina will likely prove more drawn out than that which saw Silvio Berlusconi’s Finnvest company eventually sell Milan to the Chinese consortium led by Yonhong Li after months of conjecture and rumour. 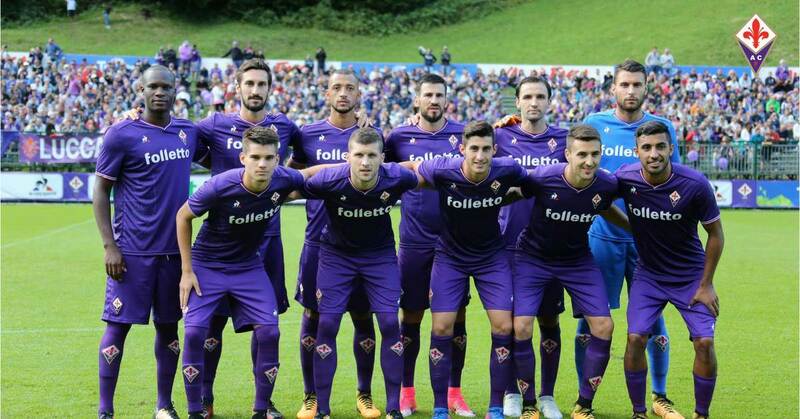 It is common knowledge that there has been a significant amount of fan unrest over the last 12 months as frustration has grown as a lack of investment has exacerbated the Viola’s inability to build on their top five placements over the last few seasons. That stagnation, coupled with the failure to extend the contract of club captain, Gonzalo Rodriguez, has seen the Viola fans’ discontent with their owners reach the stage where that relationship has now irrevocably broken down. This weekend, that discontent will likely manifest itself even more with the sale of the latest Viola wonder-kid, Federico Bernardeschi to arch rivals, Juventus. 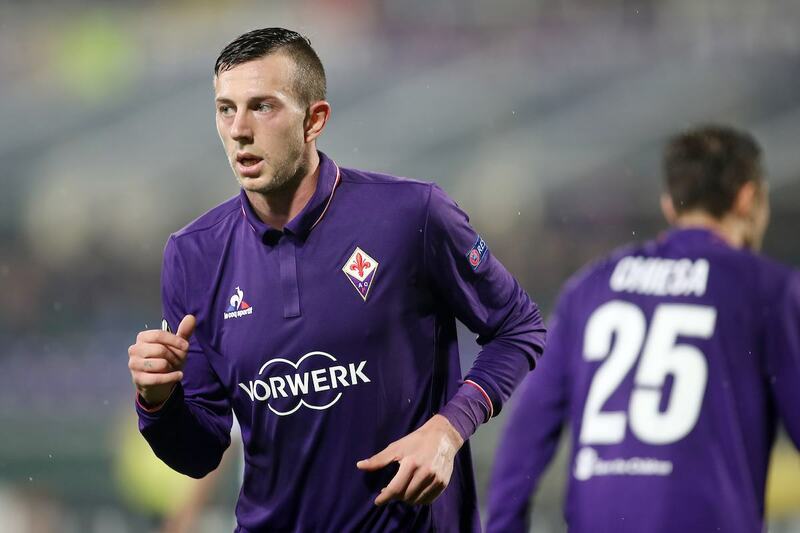 The sale of Bernardeschi follows on the back of the departure of Borja Valero to Inter last month, another transfer which incurred the wrath of the Viola fans. Valero has been Fiorentina’s best player for the last five seasons, and replacing his creativity, work-rate and passion is going to be tough for new coach, Stefano Pioli. The sale of Josep Ilicic to Atalanta, along with Milan’s reported interest in Nikola Kalinic, could mean that come 27 August, the Viola will start the season without any of their main goal-scoring threats of the last 2 seasons. The main reason behind Fiorentina being put up for sale is the fans’ clear disenchantment with the failure of the Della Valle family to invest, coupled with a constant requirement to balance the books to comply with UEFA Financial Fair Play requirements has seen them have to sell their best players. The impending sale of Bernardseschi, and the departure of Valero, follows a trend that has seen the Viola sell their best players over recent seasons, including Stevan Jovetic, Juan Cuadrado and Marcos Alonso. The obvious consequence of this is that, other than their front-running in the first half of the 2015-16 season, the club never challenge for the Scudetto or other Cup competitions – always falling at the Semi-Final stage of domestic and European competitions. In addition, the Viola are always looking to develop or sign emerging talent with a potential sell-on value rather than those who are at the top of their profession. The club has, in recent times, also become a destination for those looking to resurrect their career. To many Serie A observers, Fiorentina are a top 7 team, yet when one compares their net spend in recent years to those clubs in and around them, their consistency and performance has been astonishing. Their inability to compete for the signatures of the top players against the likes of Juventus, Napoli and also the Milan and Rome based clubs, makes their performances in recent years even more staggering. Whilst many of their purported top 7 rivals are signing or being linked with top players, Fiorentina again seem to be focusing players who are likely to see them finish in mid-table. The seasoned and top level acquisitions by Juventus, Milan and Inter are light years beyond those purchased by the Viola, and the season does not bode well for the club. If one takes a look at the transfer sums spent by the top Serie A clubs in recent years, Fiorentina’s spending is way behind that of the usual top 7 contenders. Their highest most recent transfer fee was £12.75, for the disastrous Mario Suarez, yet that amount lags way behind the record transfer fees spent by Juve, Napoli, Milan, Inter & Roma on the likes of Gonzalo Higuain (by both Juve & Napoli), Carlos Bacca & Juan Iturbe. In an effort to increase their standing in terms of on-pitch performance, commercial revenues and supporter experience, the club announced in March this year, that it planned to develop a new state of the art stadium catering for 40,000 spectators. The project has been dubbed “The Purple Renaissance”, and will cost in the region of 420 million euros. The intention is that construction of the stadium will commence in 2019, with completion expected in 2021. The closest seats will be no more than 22 feet away from the pitch, and will include stadium-wide WiFi and other technological advances. Fiorentina’s current stadium is the Stadio Artemio Franchi, and seats 43,000 spectators. The stadium was constructed in 1931, and has its obvious drawbacks, not least the fans at one end of the stadium are some distance from the field of play, whilst much of the stadium is uncovered. The unveiling of the project has led to much enthusiasm, although there remains some uncertainty as to how the finance will be sourced, and the current plans of the Della Valle family to sell the club could potentially see the project postponed, or indeed totally abandoned. Any new owners will need to buy into the stadium project and factor in the potential additional financial capital investment that will be required. That in itself might deter any potential suitors from expressing any concrete interest. The cause of Serie A’s recent limited success at European level is probably best covered in an article solely dedicated to that issue alone. However, in short, the main reason that can be pointed to is low match-day revenues due to clubs (other than Juventus, Udinese and Sassuolo) not owning the stadiums in which they play, with resulting limited commercial revenue streams. In addition to Fiorentina’s Purple Renaissance project, Roma have also indicated their eagerness to move away from the decrepit Stadio Olimpico, with a new stadium being considered which will hold 52,000 spectators. Italian clubs have been unable to compete with their European counterparts on a financial footing since the beginning of the 00’s. By way of comparison, Juventus earned only 43.7 million euros in 2015-16 match day revenue compared to Manchester United’s 137.5 million euros. The gulf is huge, and shows the huge disadvantage that Italian clubs face when compared to those at the top of the Money League. Much of Juve’s revival since the start of this decade can however be attributed to increased commercial revenues following the move to their new stadium in 2011. As such, Juventus remain prominent in terms of overall revenue, and stood 10th in the 2017 Deloitte Football Money League, with their overall revenue in 2016 totalling 341.1 million euros. For a club that has featured in the top 5 of Serie A for 3 of the past 4 seasons (2016-17 being the exception), Fiorentina do not even appear in the top 30 of the Deloitte Money League. They do however sit in 32nd place in KPMG’s Football Valuation Report, and the potential is clearly there for the club to expand and grow. Fiorentina fans and the new owners will see the new stadium as providing the opportunity to exploit greater match day revenue with the additional commercial streams that can be generated through having a modern stadium with more corporate viewing facilities and merchandise opportunities. Previous articleMilan-Seasonal subscription: 16,450 last year, 5,000 in 4 days so far! I am an avid follower of Manchester United and ACF Fiorentina, but also take an interest in the wider financial developments in the game of Calcio.